PV*SOL can quickly produce results as soon as it is opened for the first time. For improved accuracy, detailed adjustments are made to the parameters to suit each individual project. For initial analysis many parameters can either be left in their default setting or repeated by starting from a previous project. For more complex systems, adjusting the values correctly requires practice and experience. Our training can help to familiarise you with how best to make these adjustments. PV*SOL contains default settings and databases that are best adapted to match typical values expected for each country and location. This is in addition to selecting the correct climate. We recommend that all values are revealed where requested to support simulation reports. The default CO2 values used in PV*SOL are based on German values (600g/kWh). 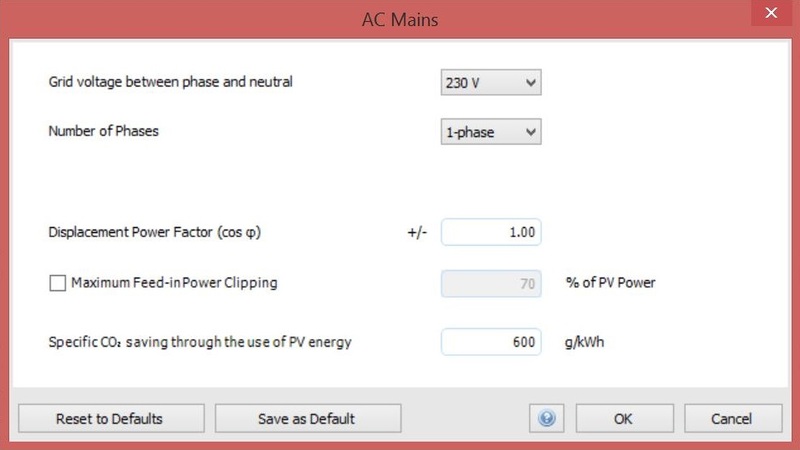 The screenshot image below shows the dialogue with the AC mains section of the climate, grid and system type tabs. It is possible for the user to alter these values and save as default. Note that electrical fuel mix changes on a daily basis but that published figures are normally annual. 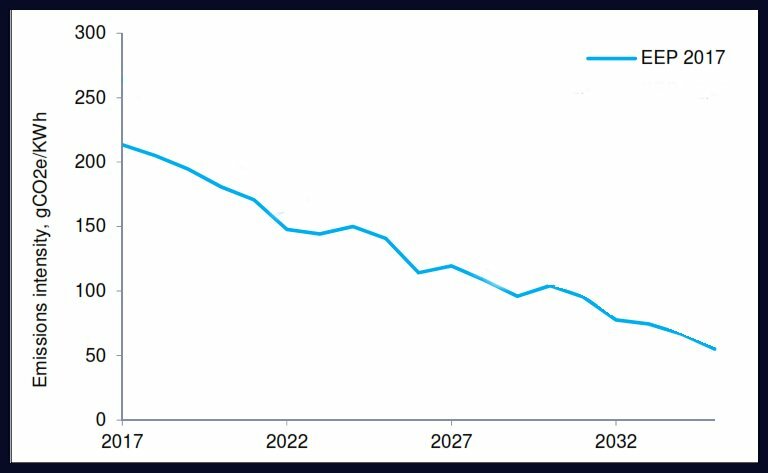 A prediction of how the CO2 content of grid mains electricity might change in the near future is shown in the following chart; and for CO2 displacement estimates an average figure for the years ahead could arguably be used. Another alternative are the CO2 figures from the UK's Standard Assessment Procedure (SAP). For the 2012 edition, this is shown as 519g/kWh but that appears quite high compared to the chart above. Further information can be found here or here .